Bennington Township is located in Shiawassee County, Michigan in the central part of the lower peninsula. Bennington is a General Law Township of Shiawassee County established March 6, 1838. The township is approximately 36.5 square miles in size and has a population of 3017 residents. Bennington Township encompasses the unincorporated community of Pittsburg, is a residential, farming, and recreational area and contains the water bodies known as Lake Manitou, Springbrook Lake, Fawn Lake and the Cummings Lakes (Lake Forrest, Lake Eve, Bambi Lake, and Mirror Lake). With its lakes & rivers, Bennington Township has year round interest and is a great place to live, work, and play. 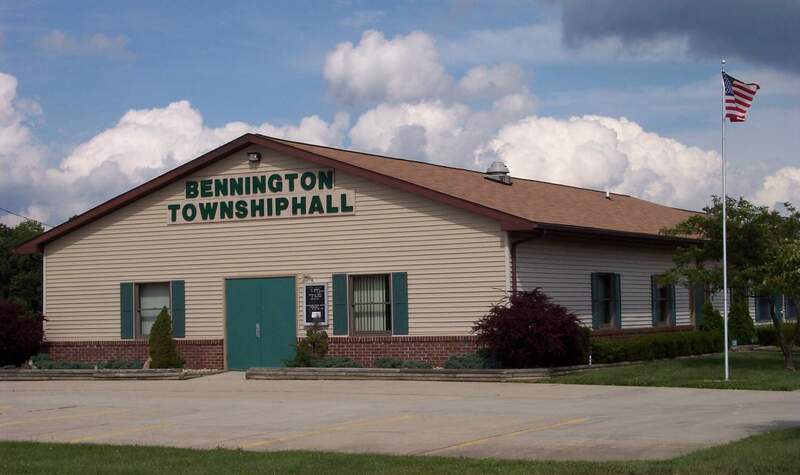 The 3,000 square foot Bennington Township Hall was built in 1987 and can be rented to township residents for social gatherings and family events. 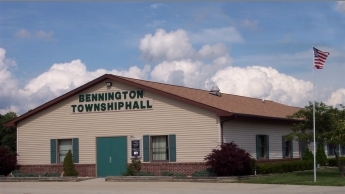 The Township Hall also serves as the voting precinct for Bennington Township.